Salsa dancers to watch in 2015 video blog includes the top 10 salsa dance champions, in the world, performing their winning routines. 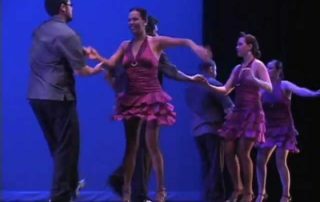 Bachata, hustle and salsa dance congresses and competitions have become very popular in many countries around the world offering bachata, salsa, hustle, ballroom, merengue and ballroom dance divisions. A salsa dance performance with Island Touch season 4 members from Tampa, Florida, dancing salsa on 2. A salsa dance performance by a couple from Tropical Gem, a salsa performance team, in Berlin, Germany 2014. DanceTime Global video blog includes Zumba, Flamenco, Solo Salsa & Belly dance videos. Everything you could want to know about Salsa dancing.